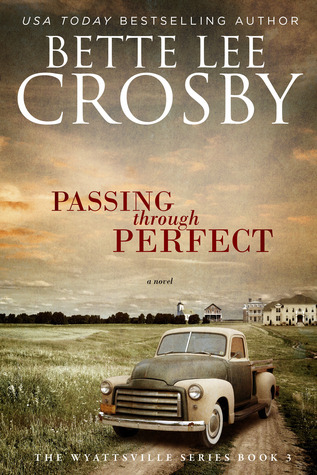 Passing Through Perfect by Bette Lee Crosby is #3 in the Wyattsville series. This is the story of Benjamin, his dad Otis, his wife Delia and his son Isaac. It has the warm depth of family weaving through its pages and sadly also discrimination is alive and active. When the story opens in Alabama Benjamin has just returned from the war, he then works alongside his father to farm the land, a hard and sometimes rewarding work. When he marries Delia they have a son Isaac. Benjamin is a hard worker, he loves his family and they mean everything to him. Life is full of struggles and challenges but when there is love you can get through. However Benjamin also experiences loss and it is that experience that catapults him into moving north. I loved meeting up with the Klaussners again and Paul and Ruby. It was wonderful to see them so settled and happy and open to being good friends with Benjamin and Isaac. I loved their loyalty, thoughtfulness and deep heartedness. Really they embodied one path people can take in life, in my view the better path as opposed to those who were so bigoted. 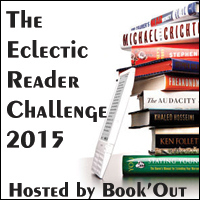 This novel explores the best of family and the thoughtfulness and kindness toward strangers. It also explores the discrimination that African Americans suffered at that time, and sadly has not yet resolved yet in today's world. A book like this highlights the need for a change of heart. So where is Perfect? Well read the book and find out. It's a perfect title I do believe. I've had this one on my wishlist for awhile, but I keep putting it off because I feel like I should probably read the first two in the series first. I need to move it up a few notches on the list because this does look good. I always like to read a series in order, even if it is only loosely related. This is my first time seeing this book. I love the time and setting. Thanks for your review.